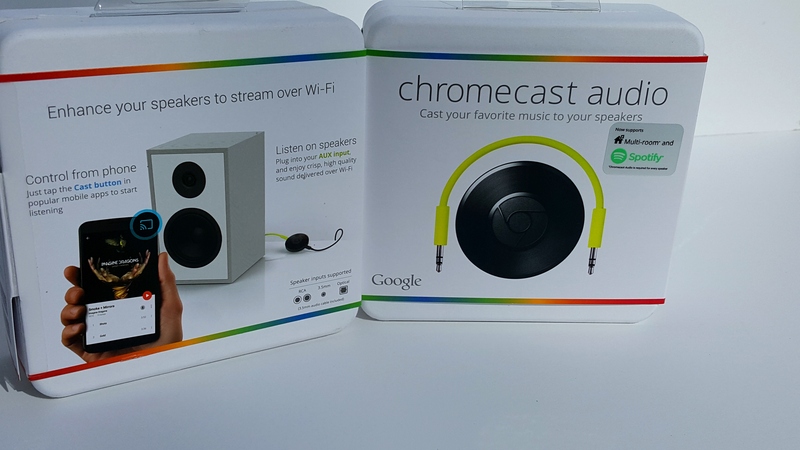 Google Chromecast Audio Review — MumbleBee Inc MumbleBee Inc. I stream music about half of my day whether I am at home or in the car. When I am home I stream through my phone, but of course my battery life is horrible and need to keep it on charge mostly or I use our Bluetooth speakers in the house. Either way it is still draining on my phone and when I get to far from the Bluetooth speakers they go all wonky and the connection goes out. I spend more time trying to reconnect the two speakers rather than listening to my music when I get ready for work. Since I am moving all over the house I have to try and connect to another speaker in the other room. Of course regular radio is great, but lets face it I want to jam out not listen to commercials for 10 minutes! 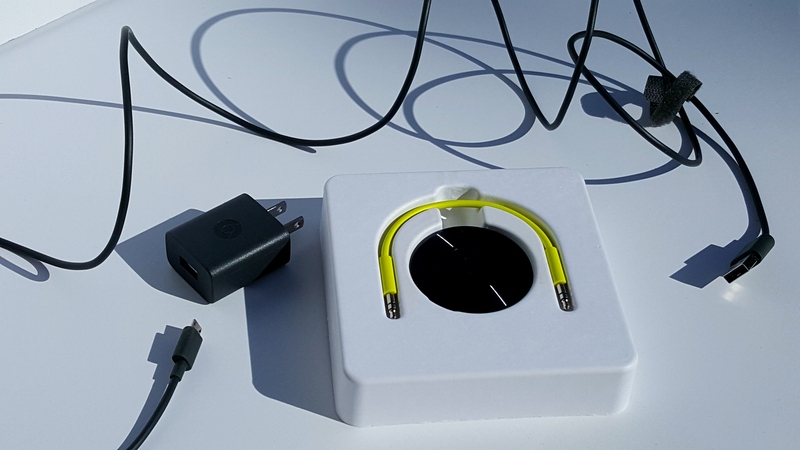 There are many options on how you want to play your music through, whether it be old speakers or new speakers that can fit 3.5mm, RCA and optical speaker auxiliary inputs. I have one of my Chromecast Audio plugged into our home audio system in the lower level of the house and the other hooked up to our television on the second level of our house. Now what is really neat is you can stream your music to multiple Chromecast Audio devices throughout your home all at once. I can literally just dance my way through and it will never skip a beat or disconnect. I can also turn the volume up or down and skip songs on my Google Play list at any time from my mobile device. Over all I would give this a nine out of ten stars. 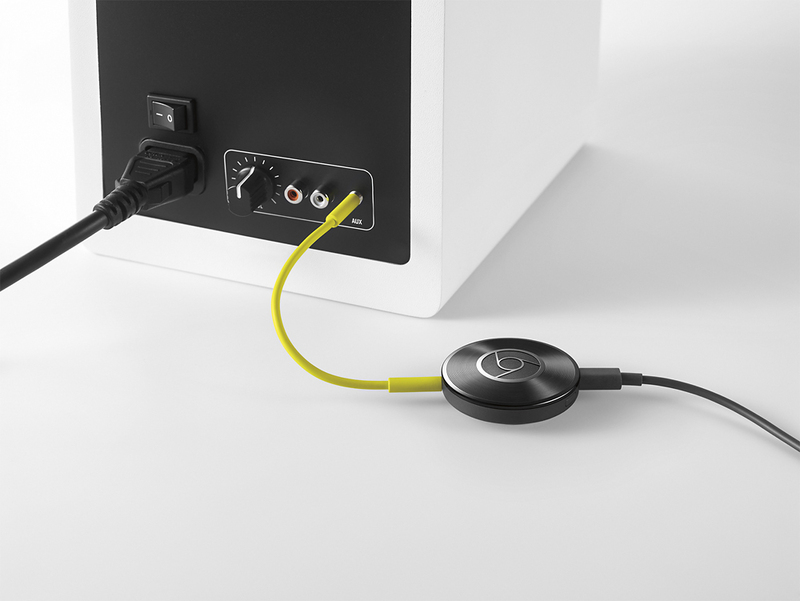 I love all the features of the Google Chromecast Audio as it is small, but comes with a HUGE new way of streaming crystal clear music. It also looks like a miniaturized black vinyl record and well for only $35 it is a great investment for a music lover like myself and all other music lovers as well. Only downside for me is it does not work in the car since it needs Wi-Fi and does not recognize mobile tethering as Wi-Fi. 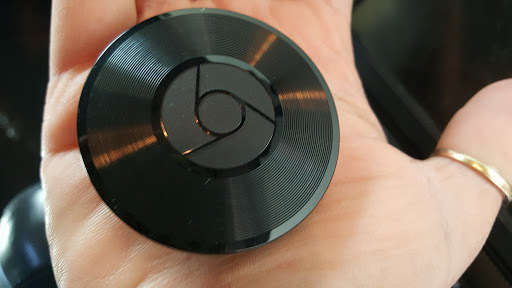 Hopefully the Chromecast Audio will be travel friendly one day. This review was written solely by MumbleBeeInc. This item(s) was provided complimentary to MumbleBeeInc for the purpose of this review. All opinions are my own and may differ from those of your own.